How Do You Know When To Hire An Accountant? Accountants are financial and tax experts that many businesses use each year. There are plenty of good reasons why it makes sense to hire an accountant. But, what some people don’t realise is they can hire them at different stages. That means they don’t need to get used on a permanent basis or even on a retainer. Small businesses and self-employed entrepreneurs use accountants just as much as large corporations. They provide a useful service. Crucially, they keep up-to-date with ever-changing tax laws. Especially ones that could have a significant impact on their clients. But how do you know when is a good time to hire an accountant? Well, there is no default stage when you need to use an accountant’s services. Each business and sole trader will need an accountant at various stages. And those stages, of course, change as their business needs evolve and they grow. Some people assume that an accountant is only needed when a business has already got formed. But, if you’re starting up, now is the time to hire one. Why? First of all, they can help you register your business for tax purposes. Second, they can assist you with selecting the right legal entity for your needs. And, third, they can provide financial projections for your business plan. Don’t forget: business plans are key to securing funding if you need to borrow money for your startup. It’s vital that you have accurate profit and growth forecasts. An accountant can help you arrive at the right figures. It’s an unfortunate fact of life that tax is a confusing and frustrating subject for many of us. We might think that we owe too much tax when, in reality, we don’t. And the reverse could apply too! When you run a company, tax management is even more complicated than for sole traders! Accountants are experts at tax planning and management. Their job is to ensure your tax affairs are in order. Another advantage of hiring an accountant is they can make sure you are ‘tax efficient’. In other words, you aren’t paying more tax than you should be doing. Some people don’t realise some rebates and allowances lower tax liabilities. As you can imagine, the government won’t volunteer that information unless you ask them! Having an accountant on board means you only pay what you’re liable for from a tax perspective. They can also take care of your personal tax returns too. Let’s face it. When you’re running a business, you seldom have the time to chase for unpaid debts. You’re too busy working and growing your business. The truth is, those unpaid debts could have a devastating effect on your cash flow. It’s also crucial that you are logging all expenses, including the cost of sales. An accountant can take care of your business finances for you. They can get involved with as little or as much of your bookkeeping as you wish. They can also provide advice on strategies to help you lower the risk of unpaid debts. For example, payment term enforcement policies and automatic reminders. It’s important to keep your business accounts up-to-date. That way, you’ll have a clear view of what’s going on with your business from a money perspective. The thing about tax investigations is there is no typical pattern to when they happen. The government, for good reason, doesn’t disclose that criteria. What we do know is that they only investigate companies if they have a strong reason to do so. Especially when you consider there are few tax inspectors employed these days! Still, if you’re unlucky enough to face a tax investigation, all is not lost. Hiring an accountant means that you can get solid advice on how to deal with the government. They can check your financial data and ensure that everything is present and correct. And they can also advise how you can avoid a ‘red flag’ situation like that again. Last, but not least, let’s say that you wish to start a business. But, you want to start a franchised enterprise. As you can imagine, there’s a lot to consider when embarking on such a business. It’s vital you have the right help and support at such an early stage. That way, you can avoid paying extra for things. Plus, you can be sure that you’re getting a good deal as part of the franchise. If you speak to an accountant first, they can scrutinise what’s on offer. They can then give you their expert opinion and advice on the matter. 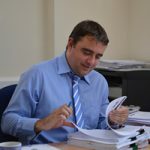 Author: Mark WilliamsMark Williams is a director at Horner Downey & Co., http://www.hornerdowney.com/ UK-based chartered accountants established forty years providing sound advice and value for money services to a wide range of clients.